If you’re an author, sooner or later you’ll come to realize the massive importance of book reviews. They serve both you and your book in a number of ways, and will help you build a credible reputation as a writer, and influence other people to read your work. However, this also works the other way— receiving negative reviews will create bad publicity, reputation, and warn people not to read your book. When faced with such pressure, it can be daunting to step up and ask for book reviews. In fact, the act alone of asking for book reviews, for some authors, is so nerve wrecking that it completely prevents authors from doing so. 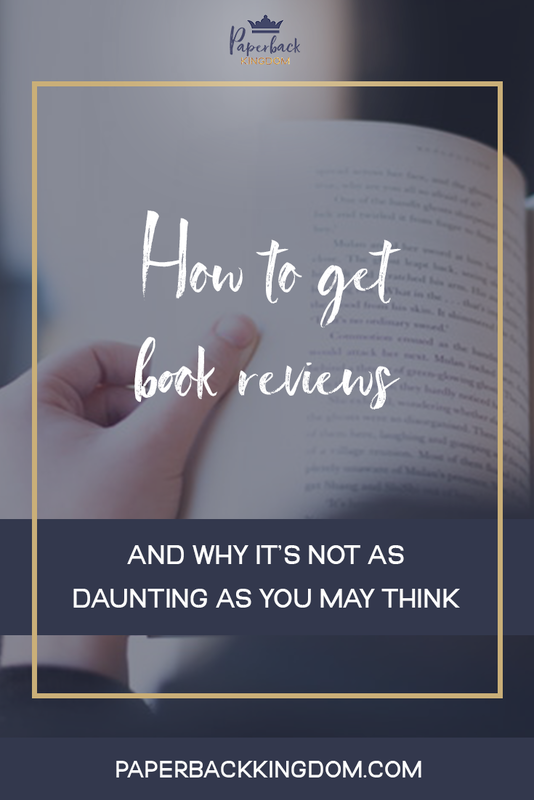 So today, I want to dive into how to collect book reviews the right way, and how to overcome that fear of ‘cold calling’ book bloggers. I’m going to go through this in order of difficulty. This is the starting point for getting book reviews— the best way to get publicity is to send out free copies of your book (ARCs or Galleys) to bloggers, in exchange for an honest review. There are so many book bloggers you can ask, and I go into more detail about how to find them a bit further down. Once you start making some sales, gently encourage your readers to leave a review if they enjoyed the book. Amazon will prompt them to do this too— but it doesn’t hurt for you to remind them. It’s also helpful if you can get reviews on Goodreads, as this is a major platform that lots of avid readers will check first before buying a book. Getting praise from a massive publication or journal, such as The New York Times or Kirkus, will really boost your reputation. But there are a couple of reasons why I advise you seek out reviews from publications last. i.) Firstly, if your book is receiving a majority negative reviews from readers, the last thing you want is to have a massive literary journal release a massive, public review that’s completely negative. Wait and see what readers have to say first. ii.) Secondly, it’s not easy to pitch your book to big literary journals— so building good publicity and reputation first will help your chances of them seriously considering your book for review when you finally do pitch them. How Do I Find Book Reviewers? Now, the key thing here is not to search for ‘Book Reviewer’, but rather, to search for a similar book to yours. 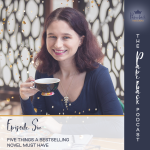 You should have a list of books (three at minimum) that you can use to gauge if a reader’s taste is similar enough that they would enjoy your book. This is all part of knowing your ‘target reader’. So, when you search for a similar book on the above sites, you will directly find reviewers who are more likely to enjoy your book. From there, if you’re using social media, you can look at the ‘recommended users’ that Instagram and Twitter recommend to you to find more book bloggers— it’s kind of like opening a gate to Narnia, so make sure you have a spreadsheet ready to take note of all these bloggers. Now, this might look daunting but don’t let it overwhelm you. This information exists to help filter the requests book bloggers receive— someone who follows the guidelines will immediately have more chance of having their request accepted, and respecting this policy is very important. If you see your genre listed, that’s a good starting point, but it also helps to go through their blog and see if they’ve reviewed books that are similar to yours— and to take note of whether they rated it good or bad. Maybe they gave your similar book a good rating, but they clearly stated that they didn’t like the love triangle in the book— so if your book has a love triangle too, make sure you can back up the request with multiple similar books the blogger enjoyed before you pitch them. The truth is, book bloggers don’t get annoyed when they receive requests. After all, they do it for free, so why would they willingly put themselves out there if they weren’t prepared to receive requests? Book bloggers review books because they love to read! So if you’ve taken the time to (1) figure out if your book is a great fit for them, (2) read through their blog a little, and (3) craft a personal pitch to them— they truly appreciate this and are more likely to help you out. Kristina from Books and Dachshunds advises for you to check their preferences, and also said that they can find other bloggers in their circle who will like the book if they can’t accept the request. It just depends on your attitude towards them— so kindness goes a long way. Bec from Bec And Bones seconded this, saying that she loves receiving friendly, genuine requests that aren’t a carbon cut-and-paste— and agreed that revising each blogger’s guidelines first and respecting them is very important. 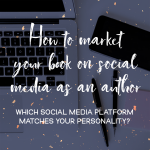 Fanna (Fannatality), Mridula (Estatic Yet Chaotic), and Camillea (Camillea Reads) also mentioned that they prefer requests that aren’t too formal– and they love to hear about why the author wrote the book, and why it fits their blog. You cannot bribe a book reviewer. The purpose of collecting book reviews is to create reputation, publicity, and exposure. HOWEVER, you must allow readers to express their own opinions of your work— unbiased, and uninfluenced. This is why Amazon does not allow friends and family to leave a review if they can trace back that they know you somehow. It corrupts the quality of the review and leaves uncertainty in potential readers about the honesty of the review. You are allowed to exchange a copy of the book for free (which you should do, because they’re taking the time to review it), but you cannot compensate the reviewer. Even if it feels cheap, or wrong— there’s a bigger, underlying reason why that will affect you negatively if you ignore it. The best way you can thank a book reviewer is to respect their opinion of your book— whether it be good or bad— and if it’s good, share it! Blogging is a tough gig, so the extra exposure goes a long way.